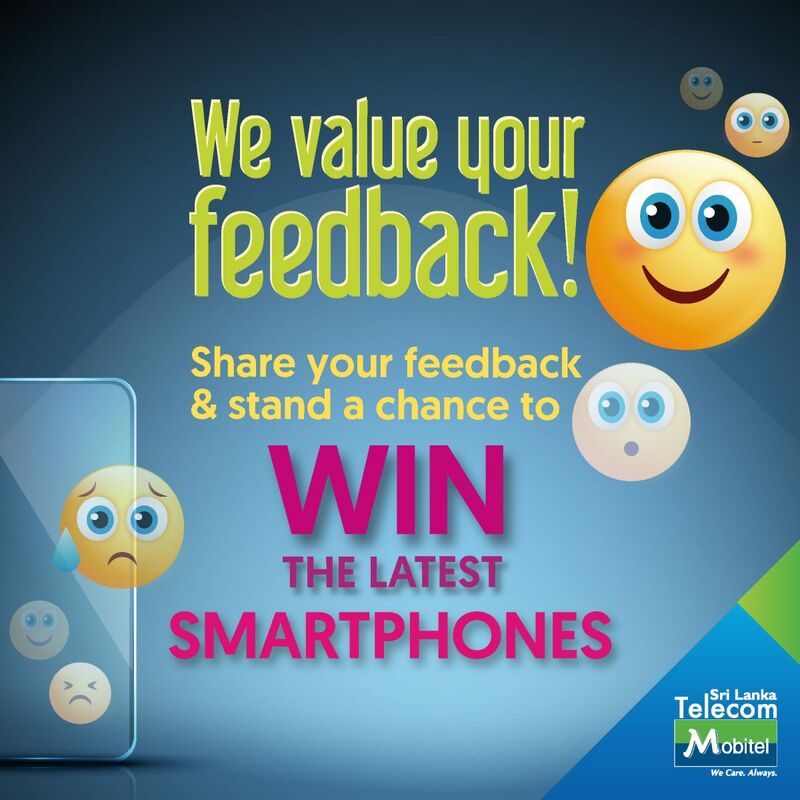 Customer satisfaction has always been close to Mobitel''s heart. As your service provider we always strive to meet or exceed your expectations, as we want to be the best in SERVICE DELIVERY. However, we like to hear from you your feedback on how you rate us. We are available to serve you anytime, Please call us on 1717 from your Mobitel phone for any assistance. How likely are you to recommend Mobitel to a friend or a colleague based on your last interaction with our Contact Centre? How likely are you to recommend Mobitel to a friend or a colleague based on your last interaction with our Frontline Operation? Please state your complaint resolution number? Were you satisfied with the roaming services provided by Mobitel? How satisfied are you with the information provided by our Customer Care team on roaming concerns? What are the services you have used while roaming? Are you aware of Deposit free roaming service? Are you aware of One rate roaming services? Are you aware of Unlimited data roaming plans? Are you aware of Unlimited inflight data roaming plans? Are you aware of Prepaid roaming plans? Please state any suggestions for service enhancements? Are you aware of Mobitel’s smart home solutions? Have you visited Mobitel's Tech hub X station? Are you familiar with the "Internet of Things" concept?